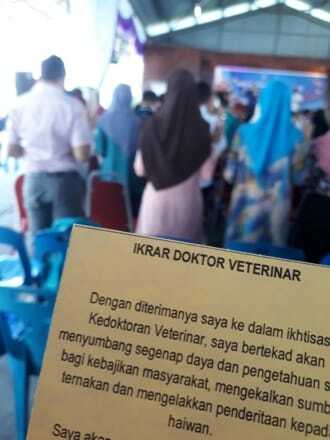 Veterinarians in Malaysia were reminded regarding "The Role of Veterinary Profession in Sustainable Development to Improve Livelihoods, Food Security and Safety" on this meaningful day. On 28th April 2018, Veterinary Association Malaysia, Department of Veterinary Services Malaysia and Veterinary Research Institute Malaysia conjunctively organized a seminar and opening ceremony of the World Veterinary Day 2018 at Ladang Infoternak Sungai Siput, Perak. Dr. Lee Jin-Ee (Veterinary Services Manager, Ceva Animal Health Malaysia) was honored to be invited as one of the three speakers on this meaningful day. He clearly illustrated “The evolution of disease control in Modern Broilers in Malaysia” as the important area of focus in poultry industry resulted from new age of broiler farming system. 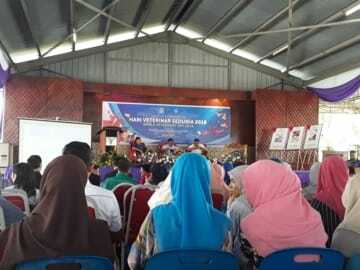 The event was also honored to have two experienced representatives from Department of Veterinary Services. 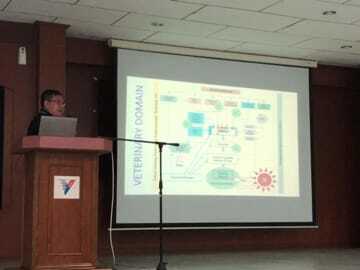 Dr. Mohammad Razli b Abdul Razak (Head of Assistant General for Section Quality System Development, Department of Veterinary Services Malaysia) shed light on “The role of veterinarian in food safety system”. 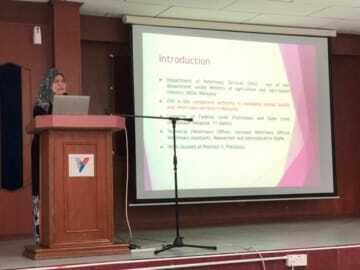 Dr. Rozanah Asmah bt Abd Samad (Head of Assistant General for Section Zoonosis and Public Health, Department of Veterinary Services Malaysia) emphasized on the role of Department of Veterinary Services in “Zoonotic disease and control in Malaysia”. After the seminar, the event was followed by an Oath Taking Ceremony as a reinforcement of its theme “The Role of Veterinary Profession in Sustainable Development to Improve Livelihoods, Food Security and Safety”. Fellow veterinarians were refreshed and reminded with determination about their roles and missions as veterinarians in Malaysia.